California farmers Fong Tchieng and Vang C. Thao have a lot in common. They both have farming operations in the Central Valley. They both belong to the state’s vibrant – and growing – Hmong farming community. And most importantly, they have both partnered with state agencies to save water and reduce greenhouse gas emissions. Funded through California’s Cap-and-Trade Program and administered by the California Department of Food and Agriculture (CDFA), the State Water Efficiency and Enhancement Program, or SWEEP, has helped both these growers conserve water and reduce emissions by installing water and energy saving technologies. Both Mr. Tchieng and Mr. Thao have used SWEEP dollars to invest in technologies like energy efficient pumps, drip irrigation systems and flow meters. According to the growers, these investments have helped them save water and reduce energy costs. 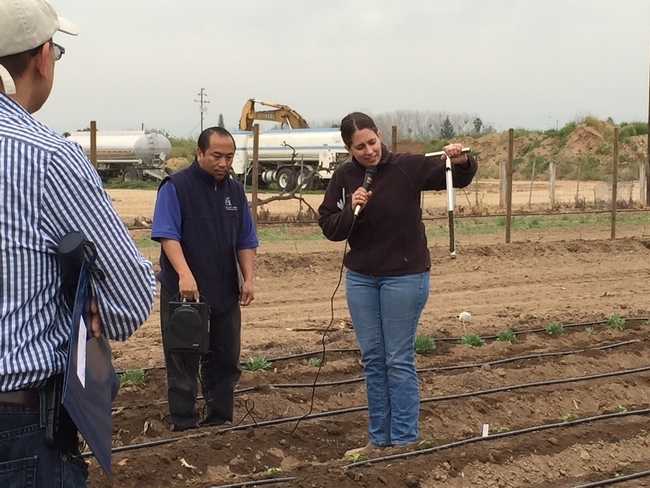 Like other growers, California Hmong farmers have also struggled with the prolonged effects of the State’s historic drought. According to a 2016 survey conducted by the University of California Cooperative Extension (UCCE), 52 separate operations said the drought had affected their farm. The survey also found that 22 percent of growers said their wells had dried up, and 51 percent reported a decreased water flow. But unlike larger growers, many Hmong farmers do not always have the resources or necessary information to get help. To help bridge this gap, CDFA has partnered with UCCE to assist farmers in the SWEEP application process. Since its inception in 2014, SWEEP has extended funding to 587 projects, totaling more than $62 million. To learn more about SWEEP, please visit: https://www.cdfa.ca.gov/oefi/sweep/. You can also click here to see more videos on additional SWEEP awardees. The article and video are from the CDFA Planting Seeds Bloghttps://plantingseedsblog.cdfa.ca.gov/wordpress/?p=14436.